Can't attend? Follow The A Cappella Society to know of future events! Be mesmerised by classic, jazz and pop tunes alike as aspiring A Cappella groups, Choirs and Beatboxers fight it out for victory at this year's A CAPPELLA CHAMPIONSHIPS! The A Cappella Championships have become a staple in The A Cappella Society's annual calendar of events. 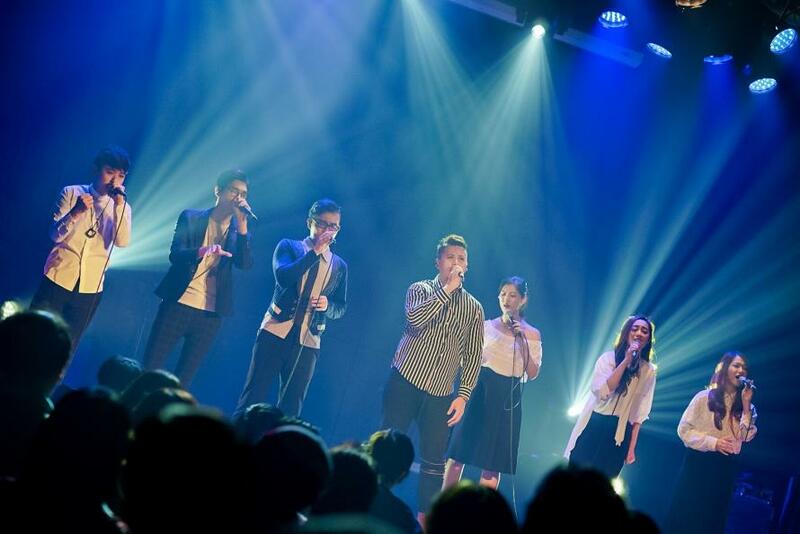 It invites the best A Cappella groups from all corners of Singapore to compete in a sing-off that challenges not only the performers themselves, but also the audience in re-evaluating the ever-changing genre of A Cappella music. The AcaChamps, as it is endearingly known as, is a programme that aims to provide positive reinforcement for all participating groups and serves as an annual testing ground for local and new A Cappella groups to compete against one another in a friendly environment, winning prizes that would enable them to reach more performance platforms and opportunities in our society. It has over the last 19 years become THE annual A Cappella competition, allowing singers to watch and learn from other teams and to assess for themselves the development of standards across the categories each year. Founded in 2009, Voco Novo is one of the most unique a cappella groups in Taiwan, creating music of their own, as well as digging deeply into the various cultures on the island, which have become the group’s iconic style. Voco Novo’s picturesque music have won the Gold Diploma for both “pop” and “jazz” categories at the 2012 vokal.total International A Cappella Competition in Austria, and took the “Best Arrangement” with Taiwan’s Hakka song “Under the Tung Blossom Trees”. At the 2013 CARA, Voco Novo’s album won the “Best Asian Album” and the original song, “Across the Milky Way”, which is based on an ancient Chinese poem, was the runner-up for “Best World Music Song”. In 2015, Voco Novo also took the 2nd prize at the world-renowned a cappella competition in Tampere, Finland. Apart from performing regularly in Taiwan, Voco Novo has often traveled overseas, including Korea, China, Singapore, Austria, Germany, Denmark, Sweden, and the US. Audience from around the world keep falling in love with the oriental sound this group creates. Voco Novo enjoys creating new a cappella music with Taiwanese culture and nature scene, to realize the idea of “Voco Novo” (Latin: New Voices). The ideal is to let the audience experience the beauty of Taiwan with a journey where music can be seen, and images can be heard.